Motorola MotoTRBO Digital Two Way Radios have had a huge impact on the way two radio customers use them. The problem has been that once you left your radio coverage area with your radio, you could not communicate until you got "back in range." That problem is now solved with TRBOWest Digital Radio Network and Motorola MotoTRBO Connect Plus! The TRBOWest Digital Network offers the largest wide area digital two way radio system in Oregon and Washington. The system spans from Eugene, Oregon to the Canadian border today, with future expansion planned. 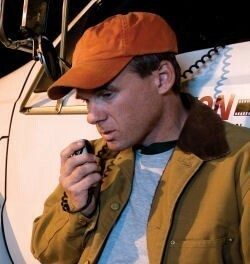 Talk all day on our digital two way radio system for one low flat rate. And what about that Digital Radio Coverage? The Google Map alongside indicates the areas you can expect coverage. With in-depth I-5 and metropolitan corridor coverage you can expect both mobile and portable radio coverage. Can I get GPS coverage and fleet reporting with the TRBOWest Digital Network? Yes. Motorola has embedded GPS receivers in several of the Motorola MotoTRBO Digital Radios, and we have a selection of browser based products and data messaging options which can complete any Radio communication requirement. Will TRBOWest Digital Radio Network work for me? We won't sell you TRBOWest Digital Radio Coverage without your first having tried it first. No one knows better than you if a Radio Network is working in your application, and we provide free evaluation radios for you to make an informed choice. It's just the best way to do business. How does TRBOWest save me money? Simple, low fixed monthly usage fees. Starting at $4.95 per unit per month for Unlimited data on the full TRBOWest system to support GPS, text, and other applications. The most you can spend is $19.95 per unit per month with unlimited talk time on the full TRBOWest system with two talk groups. radio, you could not communicate until you got "back in range." That problem is now solved with TRBOWest Digital Radio Network and Motorola MotoTRBO Connect Plus! The TRBOWest Digital Network offers the largest wide area digital two way radio system in Oregon and Washington. The system spans from Eugene, Oregon to the Canadian border today, with future expansion planned. Talk all day on our digital two way radio system for one low flat rate. Contact us today for a free consultation! All TRBOWest TRBOWest All Products Index in Alphabetical Order And what about that Digital Radio Coverage? The Google Map alongside indicates the areas you can expect coverage. With in-depth I-5 and metropolitan corridor coverage you can expect both mobile and portable radio coverage. Can I get GPS coverage and fleet reporting with the TRBOWest Digital Network? Yes. Motorola has embedded GPS receivers in several of the Motorola MotoTRBO Digital Radios, and we have a selection of browser based products and data messaging options which can complete any Radio communication requirement. Will TRBOWest Digital Radio Network work for me? We won't sell you TRBOWest Digital Radio Coverage without your first having tried it first. No one knows better than you if a Radio Network is working in your application, and we provide free evaluation radios for you to make an informed choice. It's just the best way to do business. How does TRBOWest save me money? Simple, low fixed monthly usage fees. Starting at $4.95 per unit per month for Unlimited data on the full TRBOWest system to support GPS, text, and other applications. The most you can spend is $19.95 per unit per month with unlimited talk time on the full TRBOWest system with two talk groups.